We are on the hunt for fresh talent to bring energy and enthusiasm to our experiential events. Fun-filled family event programme for one of the most recognisable brands in the world. No selling involved – just lots of fun activities helping to make it happen for parents and children. Events are at weekends and during school holidays. 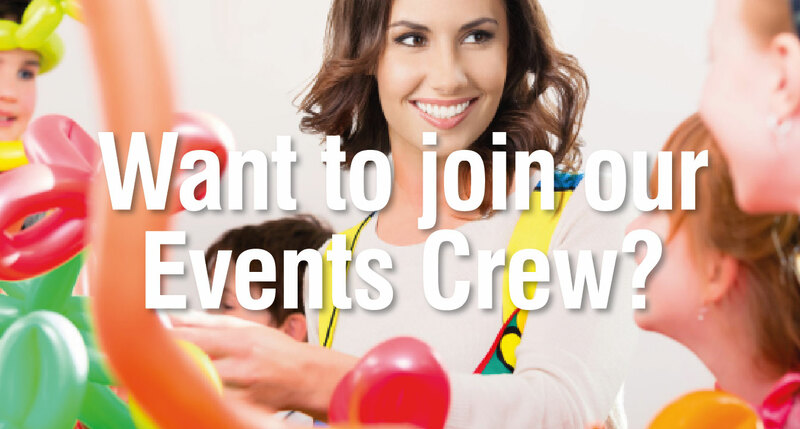 As part of the Events Crew, you will take part in and deliver fun-filled family event programmes for one of the most recognisable brands in the world. You will be given fully paid training in children’sentertainment skills such as magic tricks, face painting, balloon modelling, improvisation and family interaction. Event days are held during weekends and school holidays.